Easy Dresses with raised waist and layered swing skirts. Easy to make and fun to wear with optional layered skirt and cap sleeves and back button closure. 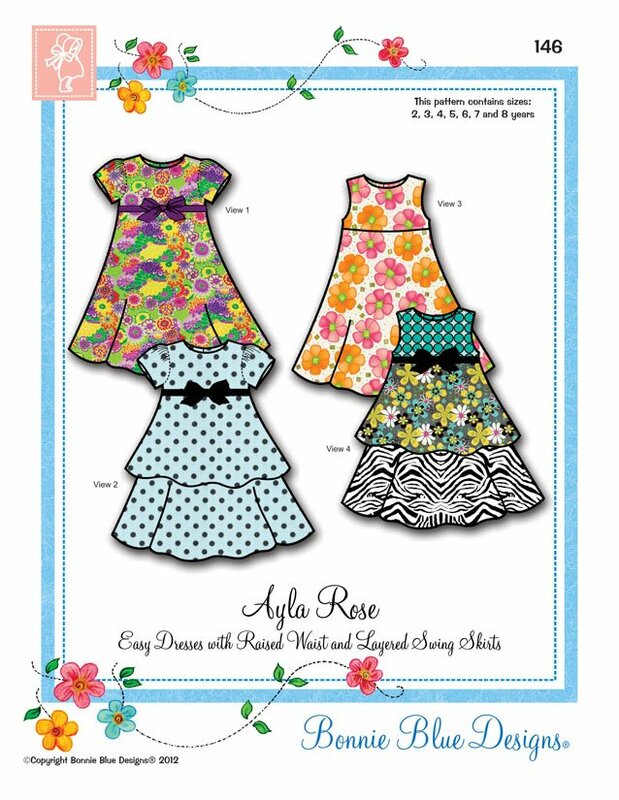 So cute with coordinating fabrics! Sizes 2, 3, 4, 5, 6, 7 and 8 years in one package.